The playlist is here. It was a shorter show this week due to the baseball game. I played some music for Greek Easter. You can hear some music for Easter here and also here. Next week is All-Vinyl week on WPRB. 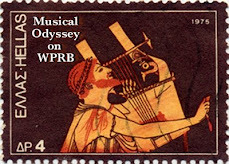 Tune in next Sunday, May 4th to hear some favorite Greek music all on LP and maybe even some 45's. 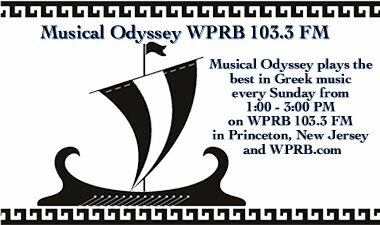 Today and next Sunday Musical Odyssey will go on the air later due to the baseball game. The playlist from the shorter show is here. I played just a few songs including music from Kristi Stassinopoulou. Below is a video of her song The Secrets of the Rocks. Today I talked about and played music from Panos Gavalas. Today I talked about an featured music performed by Eva Fampas. She has her own YouTube Channel with several performances. The link is here.